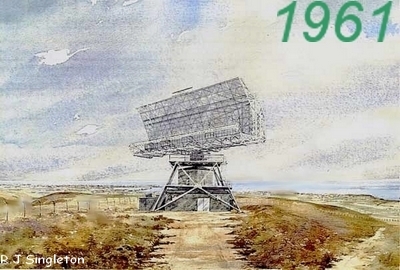 Ventnor Radar: Home Page & Index. RAF Domestic & technical sites. RAF Cardington, West Kirby, Locking, Leeming and El Adem. FAQ : Ventnor? Where on earth might that be? 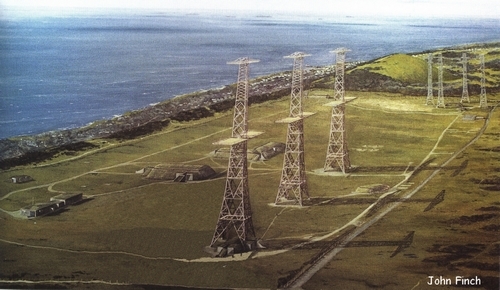 An account of service at RAF Ventnor with descriptions of the radar and additional information received from site visitors. Together these serve as a tribute to the remarkable Type 80 radar which guarded our country throughout the early part of the Cold War. At Ventnor for just one happy summer in 1957 as a nineteen year old newly trained Ground Radar Fitter, the author met his wife-to-be. Her father's RAF service as a wartime radar operator at Ventnor inspired the Chain Home page. Please feel free to make contact, especially if you too served at Ventnor. Click on thumb nails on the left. Chain Home at Ventnor : the top-secret wartime equipment, how it was invented, worked and evolved. Links to RAF St. Lawrence & RAF Blackgang pages. On Parade : a page devoted to those ex RAF Ventnor and other ex RAF personnel who have made contact, with links to several individuals' own contributions.